After adopting a liberal free-market policy, passing the first Foreign Direct Investment (FDI) Act in 1992, despite the end of the conflict, and after many ups and downs, FDI never really picked up. Why? By 1994, some 1,180 new factories were registered and in the four years between 1992-1996, foreign investment commitments increased 10-fold. But the Maoist war started, foreign investors were directly targeted, many closed shop and left, and those who stayed did not expand. 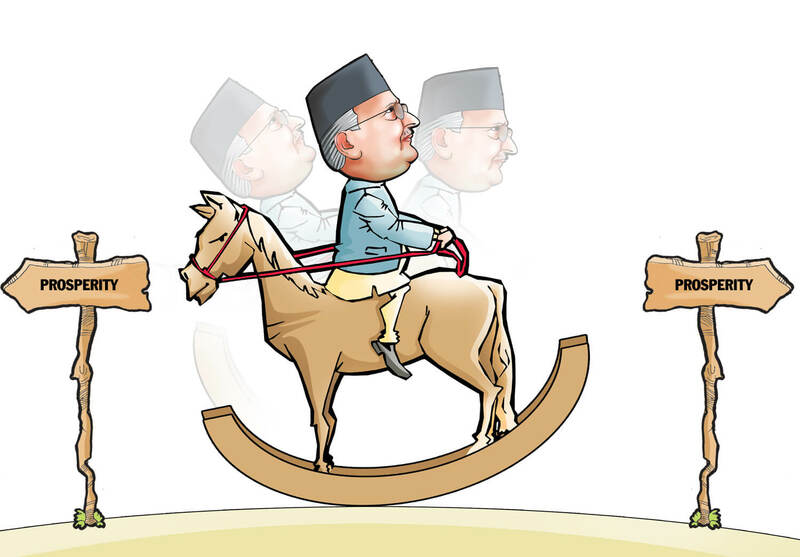 Today, more than a decade after the decade-long war, Nepal has political stability but the economy remains stagnant. 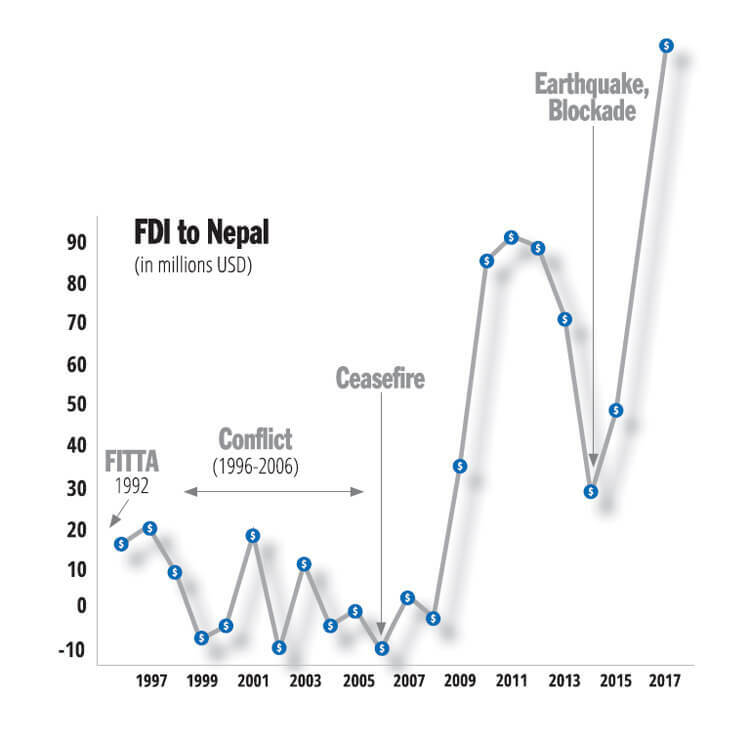 Nepal received less than $167 million worth of FDI in the first seven months of the new government assuming office – one-third of the amount received during the same period last year. There was a mere $400 million worth of FDI in the last five years. In the World Bank’s Ease of Doing Business List of 2018, Nepal dropped five spots to 110th position among 190 countries. The Bank cites administrative hassles, a complicated tax system and structural problems as major impediments to investment. 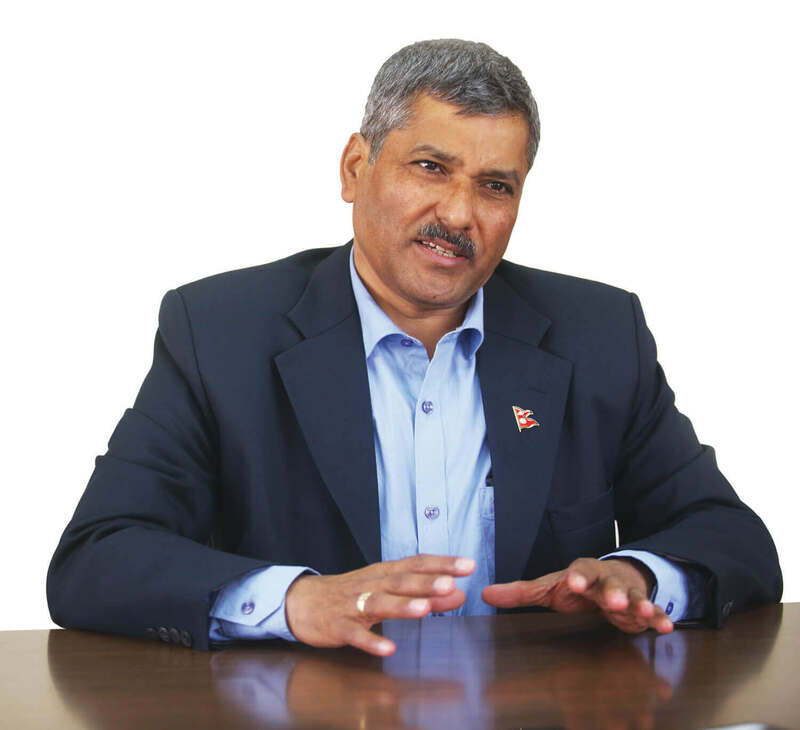 “If we do not change ad hoc regulations at all levels and reduce red tape, it will be foolish to expect more foreign investment,” says FNCCI vice-chair Umesh Lal Shrestha. Former vice-chair of the National Planning Commission Dipendra Bahadur Chettri adds that while the laws and regulations have changed for the better, the proof of the pudding is in the implementation. The bureaucracy is still investment unfriendly. Prime Minister KP Oli chairs the ongoing Investment Summit at Hotel Soaltee, Kathmandu, on Friday. Added to it is a pervasive rent-seeking culture among policy makers and civil servants at every level. It is common knowledge that government secretaries do not issue licenses unless they get a kickback. The Melamchi Water Supply Project is stuck in its final stages because the contractors refused to pay off the secretary. Officials of the Nepal Electricity Authority (NEA) in collusion with private cement companies, shut off power to state-owned Udaypur Cement. “How do you expect businesses to come to Nepal when the first thing officials ask for in an investment meeting is their share?” asks Shrestha. Bureaucrats compete fiercely for lucrative positions in the Industry Registration and Licensing Section, the Foreign Investment and Technology Transfer Division, and Office of Company Registrar because that is where they can shake down investors. Nepal is also seeking to graduate from its Least Developed Country status to Developing Country status by 2030, but that is unlikely, without achieving the UN’s Sustainable Development Goals, which in turn will require an annual foreign investment flow worth $15 billion because experts say national resources alone will not suffice. A sluggish bureaucracy and corruption, however, have sent the wrong message to the outside world. Large projects like Melamchi are perennially stuck; the 216MW hydropower project on the Trisuli is yet to begin, eight years after the Korean South East Power Company began work, having already invested Rs6 billion. In contrast, a 102MW hydropower project started four years ago by the same Korean consortium in Pakistan is nearing completion. The worst precedents were set by the Norwegian company SN Power pulling out of the 650MW Tamakosi III project in 2013 because of the lack of political will on the part of the government, and Australia’s SMEC gave up on the $1.5 billion West Seti Project after trying for 15 years. China’s Three Gorges also withdrew from West Seti due to lack of agreement on a power purchase. The Finnish company Nepwaste had a proposal to solve Kathmandu’s waste problem and generate electricity with an incinerator project, but is reluctant to advance, first because senior politicians wanted a cut and then because Kathmandu Municipality asked the Finns to deposit the total annual salary of all its workers in its bank account to begin. Eighteen other large projects involving Chinese and Nepali contractors are in trouble after a Chinese government-owned insurance company reported uncertainty about return on investment in Nepal. Nepal has no policy yet on sovereign guarantee. Other foreign investors are frustrated by the government’s failure to provide basic infrastructure like roads, power and water. Without a transmission line, Chinese-backed Hongsi Cement is using a 25MW diesel generator. It is not just the government that is working at cross-purposes to create obstacles for foreign investors, Nepal’s protection-minded private sector is equally to blame. Nepal’s cement cartel tried its best to stop Hongsi from setting up its plant, and was only successful after allying with Shivam. Another Chinese cement company Hwasin is setting up a plant, but only after partnering with industrialist Suraj Vaidya. When news surfaced that India’s Amul wanted to invest in Nepal, Nepal’s dairy industry was up in arms and lobbied their case in Parliament. Dairy and agro-industries are therefore in the FITTA negative list. When India’s biscuit company Britannia announced plans to expand in Nepal, Pashupati Biscuit openly lobbied against it. The tourism industry has been adversely affected by domestic companies who want to keep the foreigners out. Experts say foreign investment is not just about money, but bringing in state-of-the-art technical knowhow, skills and quality control. This is most evident in the cement industry where domestic manufacturers have been selling customers sub-standard cement by keeping foreign companies out. Some investors have even faced violent threats. In 2001, Nepal Telecom gave a license to Spice Nepal to operate a private telecom service. India’s Modi group that owned majority share of the company backed out when its representative was threatened with kidnapping. The Koreans involved in Himalayas Spring Water’s Ontop brand in Rasuwa pulled out after its executive was beaten up by the same Maoists who are in government now. Many middlemen and former government officials are also sitting on lucrative hydropower projects and mineral mines hoping to cash big on licenses. 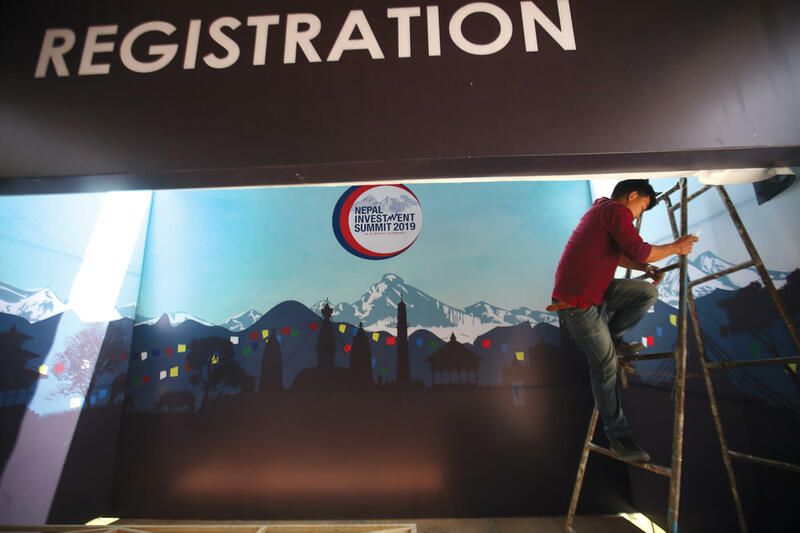 Despite the risks, foreign investors still find Nepal’s hydropower a viable business venture, and more than 60% of the projects on offer at this week’s Investment Summit are in energy. After India and Bangladesh opened their market for electricity imports, Nepal has the opportunity to promote this sector to export surplus electricity after projects meet domestic demand expected to reach 10,000MW by 2030. Hitherto, the main roadblock for investment was political instability. Now that Nepal has a stable and strong government, the climate for growth is much more favourable. But as long as the state is afflicted with a rent-seeking mentality, experts say the best laws will not be enough to attract investors. Nepali Times: Some MPs have themselves said investment-related bills were brought for ratification without sufficient debate. What is your take? Mahaprasad Adhikari: Old bills were amended and new bills were registered in Parliament. We were hoping they would create a feasible environment for policy improvement during the Investment Summit. Bills regarding Public-Private Partnership and Foreign Investment and Technology Transfer Act have already been passed, and both were vigorously debated. In fact, the Foreign Investment and Technology Transfer Act was firsts discussed there years ago. If there are any changes, they can always be amended in future. How are the new laws more investment-friendly? There were no laws about public-private partnership (PPP) before. The act creates a legal foundation and provides fundamental tools to advance PPPs. Investors can now have more clarity about the process. Provisions related to transportation and infrastructure help strengthen the public-private partnership through the ‘Viability Gap Fund’ that enables the government to promote the private sector. The Investment and Technology Transfer Act will help expedite the investment process, increase security, and station a one-point service centre for efficiency. But critics say the new acts instead of strengthening the Investment Board increases the government agencies who need to give approval. The Investment Board has been functioning as a one-window service centre, and served as a bridge between investors and government agencies. The idea is that investors no longer need to visit different government offices once they contact the board. In the longer term, we hope to ensure that all government agencies communicate their decisions online. We are looking to expedite the process, and want investors to expend energy on development rather run around for documentation. We heard the same things at the 2017 Summit, but not much changed. How will this one be any different? This year’s summit follows a different model, we are pushing policy improvements, and then present well-researched, attractive proposals to investors. Some of the investments commited in the last summit have arrived while the remaining is in the pipeline. Work and research has already commenced for a fourth of the investments worth Rs375 billion. What are your expectations this time? 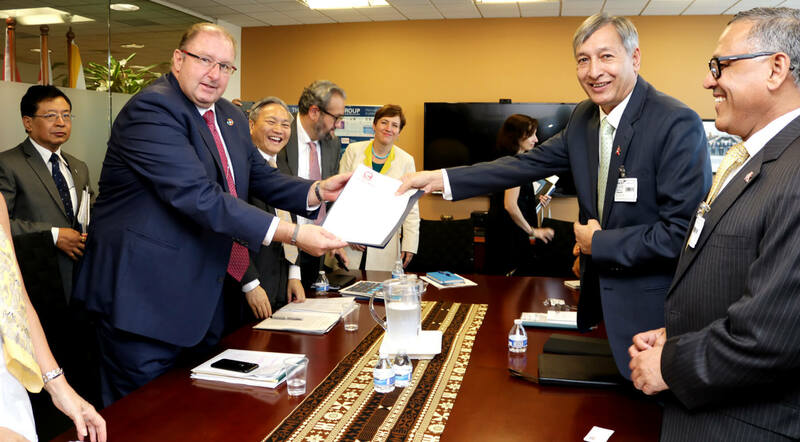 It is an invaluable opportunity to make international investors aware about Nepal’s efforts to create investment-friendly environment. 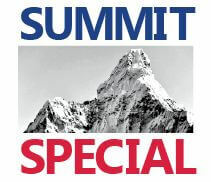 We have studied many projects thoroughly to showcase them at the summit, and that is an outcome by itself. We will also propose private sector projects to international investors. 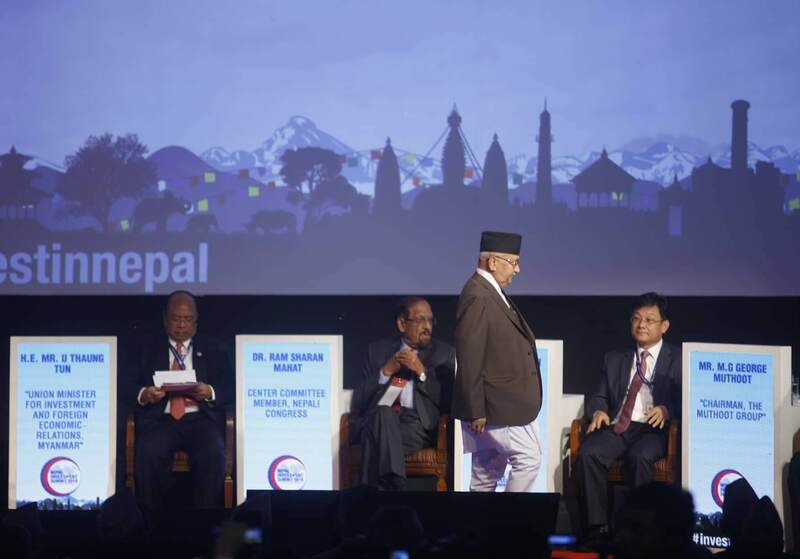 The message is that Nepal is ready and open for business.